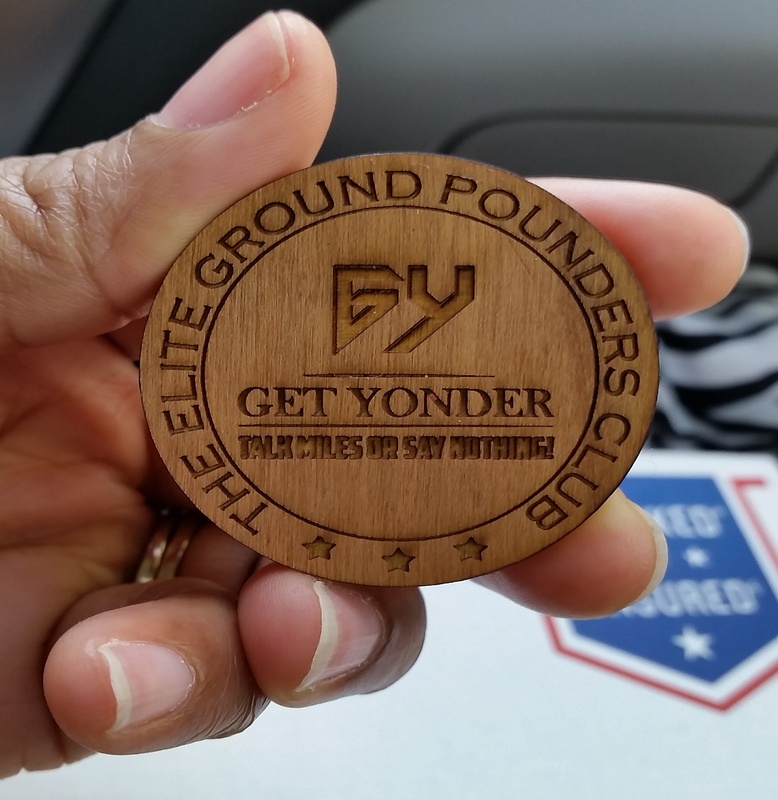 One Trip Ground Pounders…….Or NOT!! In the past few years, especially in the Urban Motorcycle Community, there has been an influx of motorcycle riders utilizing the word GROUND POUNDER! Some are self proclaimed, some deemed by others, yet the title has grown to be as common as pop up motorcycle clubs. The word GROUND POUNDING, has become a relative term, and depending on who you are speaking to, the definition will differ……but this article isn’t about it’s relativity. 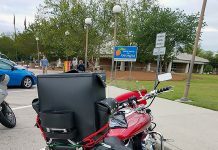 This article is about motorcycle riders that take one trip, whether it be across country or three states over, and now consider themselves GROUND POUNDERS! So, before I start, I’d like to say, that not all riders want to be considered a Ground Pounder; some owners of motorcycles just enjoying riding their bike when time permits. 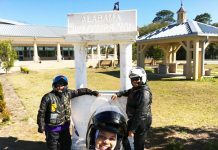 They have no desire to earn patches or titles………they simply ride as a hobby, and ride when either their job, money, or time allows. 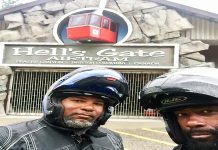 This doesn’t mean that their love of motorcycles are more or any less than anyone else, they simply choose not to participate in the extreme facets of the lifestyle. But……back to these pop up Ground Pounders, that use one trip to justify their new found title! If you are not known for riding, then you probably coined yourself prematurely. Your ONE trip to earn a patch does not constitute you as a GROUND POUNDER, any more than me riding on the back of my husband motorcycle constitutes me as one. It takes more than one trip to earn that title. Ground Pounding is a lifestyle. You can’t wake up, plan a trip, ride for 10 or 15 days and now consider yourself a Ground Pounder. 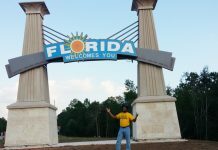 Especially when you’ve never seen a state sign before the trip, and probably won’t see another one, unless you ride by it in a car. 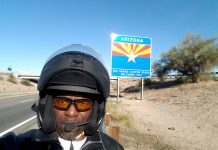 However, please don’t get me wrong, riding across country and even around the country to different states, by no means is an easy task. I know, because I’ve done both! However, it still doesn’t make you a ground pounder, just as riding half-way across country once a year to an anniversary party doesn’t make you one either, especially when you arrive by air to all other yearly events. Of course, this doesn’t mean that a Ground Pounder won’t ever fly to an event, or ever be seen driving a vehicle to one, because things happen, and it’s not realistic, however, I would say that it wouldn’t be a common practice for one. There are some riders that are ALWAYS on their motorcycles. They ride to different states, they ride cross country, but more importantly, they ride for the love of the sport. 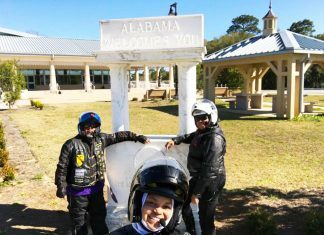 Their main objective for riding is not due to patches, not due to titles or accolades. They simply enjoy the journey, the memories, and the wonderful experiences you encounter when you ride out of love. They are the true GROUND POUNDERS. They ride to reflect, to appreciate, and even to pray. 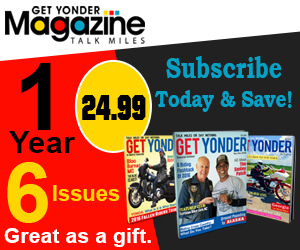 They don’t need specific events, competitions, or certifications to influence their riding. They ride for the love of it, and funny enough, most times they would be the last to consider themselves as Ground Pounders. Another quality that I’ve recognized among real ground pounders are the fact that they don’t put other riders down because they don’t ride as much as them. They are encouraging, and always promoting the love of riding. 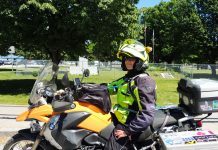 They are helpful in sharing experiences and vital tips to other riders. 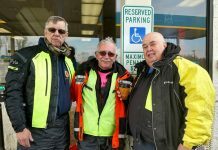 Their willingness to embrace other riders that they meet along their journeys also sets them apart from common riders. So unless you have some experience, time and miles under your belt, just continue to ride your ride (or not) and stay away from titles that others have rightfully earned. Too often we get caught up in securing a title, that we lose the true meaning behind the action. It doesn’t matter how many patches, trophies, or titles you’ve received, if you aren’t doing it for the enjoyment, the memories and love of the ride, then you have missed the most important aspects of the journey! This article is based solely on the opinions of the author and should have no direct bearing of any other parties associated with Get Yonder. !